INFORMATION-EDUCATION What spooky planet is this? What spooky planet is this? Planet Earth of course, on the dark and stormy night of September 12 at Hverir, a geothermally active area along the volcanic landscape in northeastern Iceland. 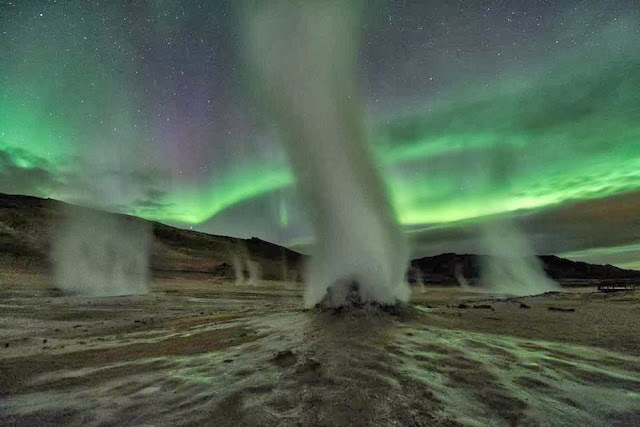 Ghostly towers of steam and gas venting from fumaroles danced against the eerie greenish light.